Want to learn about Baird and gain real-life insights into M&A? Baird is hosting a Pitch Competition in Frankfurt, offering you the opportunity to spend a day working alongside experienced M&A bankers. 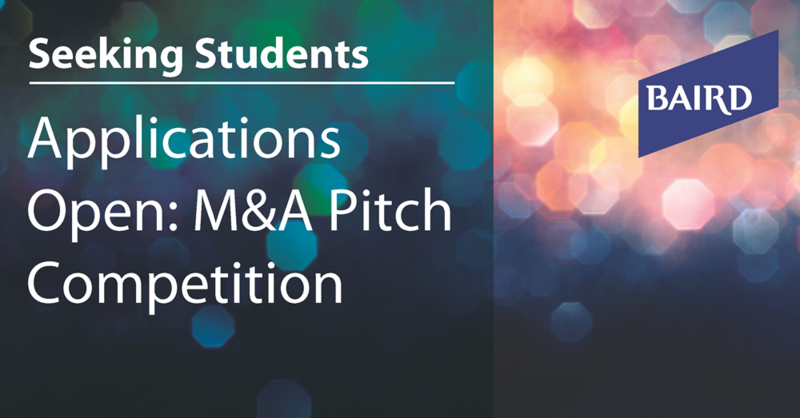 You will put your financial analysis skills to work and develop an M&A pitch together with other students. The winning team will be unveiled ahead of a networking dinner reception with Baird bankers and students from other top universities across Europe. Applications are open to penultimate and final year Bachelor and Master students with a genuine interest in finance and a strong academic performance.